Agnes May Blake was the elder daughter of Samuel and Ellen Blake of Pilton. 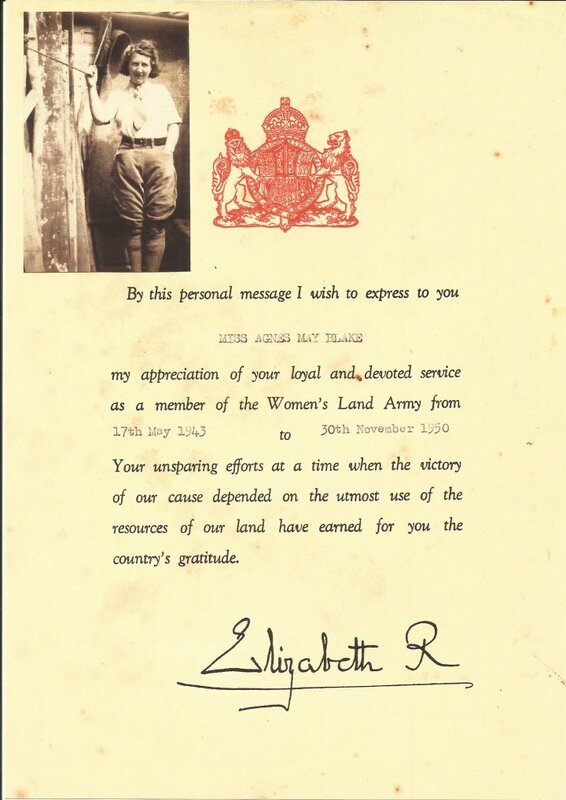 During and just after World War II, Agnes served in the Women's Land Army. In recognition of her service between 17th May, 1943 and 30th November, 1950, she received this certificate of appreciation from the Queen. The inset photograph shows Agnes, aged 47 years, in her Land Army clothes. She lived at 50, The Rock, her parents' home, until 1952. Thanks to Gillian Blake, her niece, for giving us this certificate and photograph.